Peacock T Shirt USA Adult Medium at Animal World®. Peacock T Shirt USA Adult Medium is bird lover lifestyle by Animal World®. Featuring a large peacock with colorful tail feathers T Shirt is printed in the USA on natural color 100% comfortable cotton. 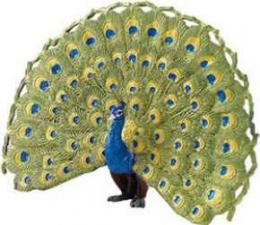 Shop our Peacock Gifts Store at Animal World® page for additional peacock gift items.